Anguissa is a dragon shifter and a princess. She is also a starship captain who is in grave danger. Ryke has been under the control of an evil regime for tears and looking for a way to escape. Our lead characters couldn't be more different. They have each been raised to believe that the race the other belongs to is both dangerous and disgusting. To survive they will be have to come to terms with what needs to be done. 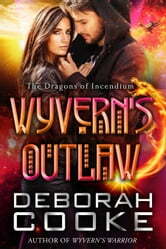 A Sci-Fi / Paranormal romance with lots of excitement. This is part if a series but easily read on IRS own. Good fun. A copy of this book was provided to me with no requirements for a review. I voluntarily read this book and my comments here are my honest opinion. I was transported to another galaxy. Come and join the ride!!!! You won't be disappointed. I just finished reading this novella February 16, 2018. This is my review. I really enjoyed this book about Princess (Captain) Anguissa and Ryke. Two characters couldn't be more different and have completely opposite cultural values as to how men and women should behave towards/with one another. A very interesting concept indeed. Anguissa is a dragon shifter from Incendium. A Princess actually but a bit of a rogue. She's also Captain of the ship the Archangel and just rescued her sister and her sister's HeartKeeper (husband). When she comes face to face with her enemy, there's only one thing Anguissa can do...save her sister and her HeartKeeper and save her ship and the valuable cargo it holds by giving herself over to her enemy. The only thing she never expected was to meet the Carrier of the Seed, the only man she can have a child with, while aboard the enemy ship. And he happens to be trying to escape her enemies as well! Ryke is just waiting for the right opportunity to escape from being held prisoner by Captain Hellemut. Ryke was tortured and forced to be a pilot for the Gloria Furore, a group of thieving space pirates. When Captain Hellemut captures Anguissa, she shifts into a dragon and kills the entire crew...except for him and he doesn't know why. Shifters are an abomination on his home world of Centurios and killed immediately. So why is he letting her escape with him? There's something about her he just can't deny. Well, I don't want to say to much more for spoilers sake. The story is novella length so it moves along quickly. The romance between Ryke and Anguissa is passionate but also humourous at times due to their cultural differences. Both of them are very strong willed characters and their bantering is quite funny. A lot of action in this story. Running for their lives, ships exploding, betrayal, humour. This novella has it all. I really enjoyed it and look forward to reading the next short story and novella in the series. 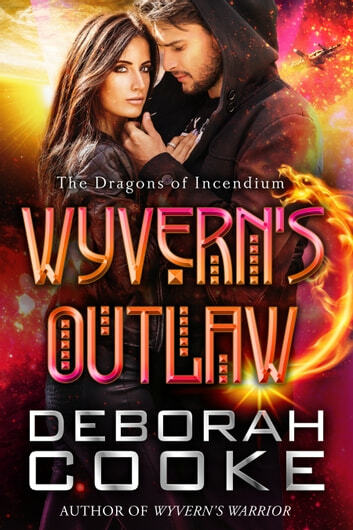 This amazing series by Deborah Cooke traces the lives of each of the 12 dragon shifter princesses of Incendium as they find their HeartKeeper, the mate they are destined to love. The Outlaw in the title is the Princess Anguissa, a renegade ship's captain and smuggler who thrives on danger. The elusive Ryke, an umbro (Soul-Stealer) from the planet Centurios, has been kidnapped and forced to serve the Gloria Furore, a vicious and ruthless group of mercenaries. When Anguissa is captured by the same group that holds Ryke, they work together to escape, even though their worlds demand that they be sworn enemies. As Anguissa and Ryke face crisis after crisis, they begin to realize that they have more commonalities than differences. As always, Ms. Cooke builds a multi-faceted world in which her characters reside, facing challenges and danger on the way to their inevitable HEA. A copy of this book was provided to me with no requirements for a review. I voluntarily read this book and my comments here are my honest opinion.